Marijuana Could Soon Be Rescheduled As A Less Dangerous Drug By The DEA, So Why Aren’t Cannabis Proponents Excited? After decades of intransigence on the issue, the Drug Enforcement Administration may finally recommend removing marijuana from the list of the country’s most dangerous drugs. That list was created as part of the Controlled Substances Act (CSA) of 1970, which consolidated all federal drug laws into a single comprehensive measure and defined marijuana as a Schedule I controlled substance, alongside heroin, LSD and other drugs that the government says have no medical value and the highest potential for abuse. That meant marijuana was saddled with the strictest possible restrictions and penalties. 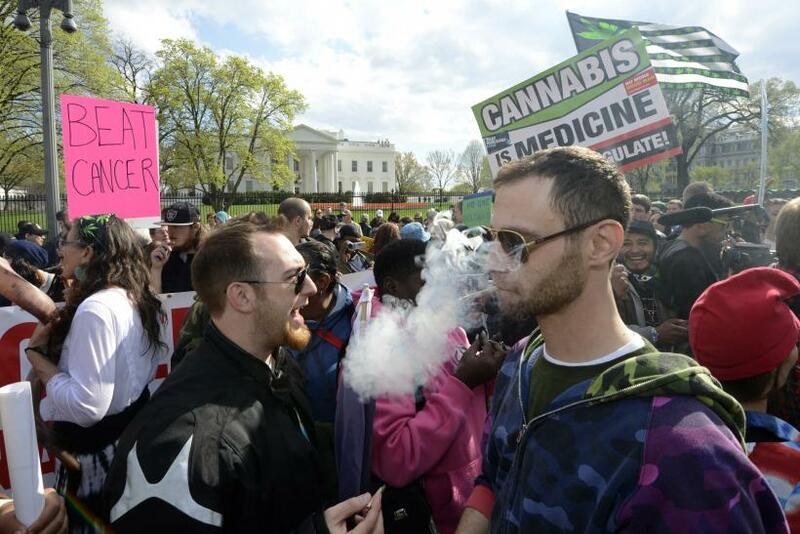 Ever since then, marijuana activists have been fighting to remove cannabis from that category. In 1972, the National Organization for the Reform of Marijuana Laws (NORML) petitioned the DEA to instead place marijuana in Schedule II of the CSA, alongside cocaine, meth and other drugs considered dangerous but with medical potential. Twenty-two years and multiple courtroom battles later, the DEA had a final decision: Marijuana would remain a Schedule I substance. The DEA has rejected two other marijuana rescheduling petitions since then, but now there’s a glimmer of hope among activists that change could finally be in the works. As first reported last week by the Huffington Post, in a recent letter to a group of Democratic senators, the DEA referenced a 2011 petition to reschedule cannabis to Schedule II, noting, “DEA understands the widespread interest in the prompt resolution to these petitions and hopes to release its determination in the first half of 2016.” While there’s a good chance this determination will be no different than in the past, the country’s rapidly shifting cannabis landscape — with 23 states plus Washington, D.C., having legalized medical marijuana (and Pennsylvania poised to do so) — makes some people think the DEA could be ready to concede that cannabis has medicinal value. Such responses suggest it’s not just the DEA that’s shifting its position on federal marijuana laws. Marijuana proponents’ stance on federal cannabis rules are evolving, too. As the movement racks up one legal victory after another with little federal acknowledgement, there’s a growing belief that the cannabis crusade doesn’t have to settle for marijuana's move to Schedule II, for which it has long lobbied. Some even worry that such a rescheduling could in fact limit or derail a thriving industry. A handful of drugs have been rescheduled like this before. Marinol, a synthetic version of marijuana’s psychoactive components, was moved from Schedule I to Schedule II, and then to Schedule III in the 1980s and '90s. But rescheduling is rare. According to John Hudak, deputy director of the Brookings Institution’s Center for Effective Public Management, the DEA has rescheduled substances 39 times since the CSA was ratified 46 years ago, and only five of those instances involved moving a drug from Schedule I to II. Many drug policy experts aren’t optimistic that marijuana will soon be the sixth instance of this happening. After all, the DEA bases such decisions on existing marijuana research — research that has long been severely limited thanks in part to restrictions related to marijuana’s Schedule I status. Even if the DEA recommends rescheduling marijuana in the next few months, the change wouldn’t happen overnight; it would instead trigger a lengthy rulemaking process. “Even if the DEA comes out in July and says, ‘We are moving from I to II,’ it would still take about a year for that to happen,” said Hudak. The move wouldn’t just be symbolic. Moving marijuana to Schedule II would remove some of the logistical hurdles and academic taboos limiting cannabis research. It would also eliminate several of the bureaucratic hassles plaguing marijuana markets around the country because of the drug’s Schedule I status, such as confusion over whether publications with marijuana ads can be sent through the mail. But as many marijuana supporters point out, shifting cannabis to Schedule II would not solve the biggest problems facing the nascent marijuana industry. Many unique barriers for marijuana research would still remain, such as the fact that all cannabis for such studies has to be obtained, via a lengthy and complicated approval process, from a single marijuana grow at the University of Mississippi that’s administered by the National Institute on Drug Abuse (NIDA). “The big issue is Ole Miss’ marijuana monopoly, and this wouldn’t fix that at all,” said drug-policy expert Mark Kleiman, a professor of public policy at the New York University Marron Institute of Urban Management. Still, to be safe, a growing number of marijuana activists would prefer marijuana is instead moved further down the CSA hierarchy to Schedule III, IV, or V and placed among drugs that are considered less dangerous and face fewer restrictions — or, better yet, removed from the CSA altogether and regulated independently, similarly to alcohol and tobacco. But, as NORML’s Armentano knows from experience, we shouldn’t expect massive policy shifts like this anytime soon. After all, he points out, the current petition to move marijuana from Schedule I to II was filed in 2011.